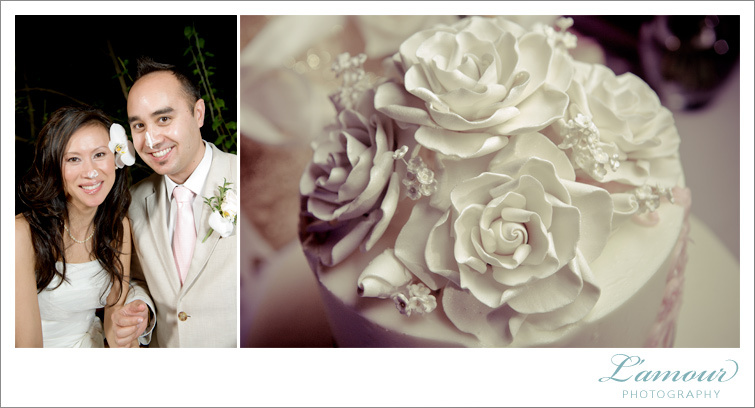 We absolutely love to see our brides use their creativity in their wedding design, decor, and details. 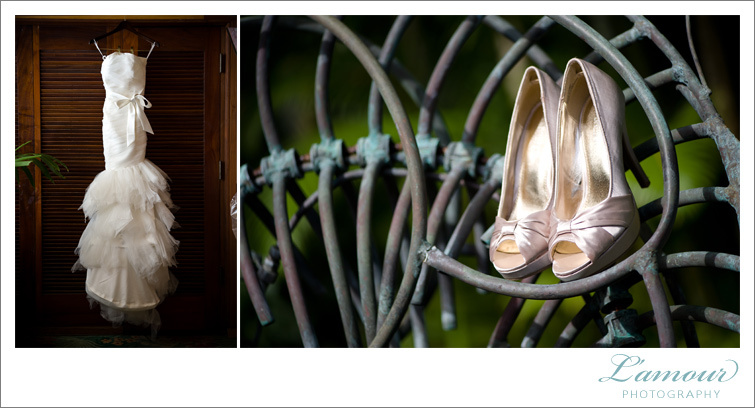 Many of our past brides have shown their incredible creative talents in designing their own invitations, themes, centerpieces, favors, and in the above shown photo, ring pillows. 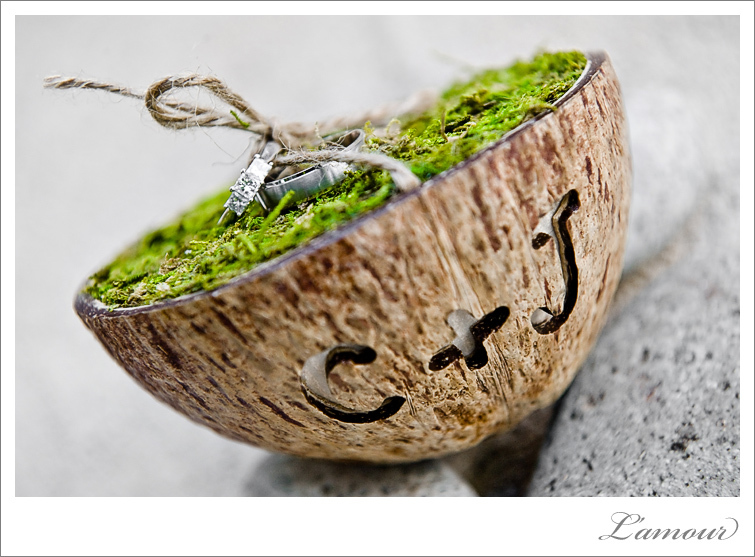 This green ring pillow was made of all natural materials including a coconut, moss, and natural twine to tie the rings. This DIY bride added a personal touch to this creative ring pillow by carving out the bride and groom’s initials on the side. 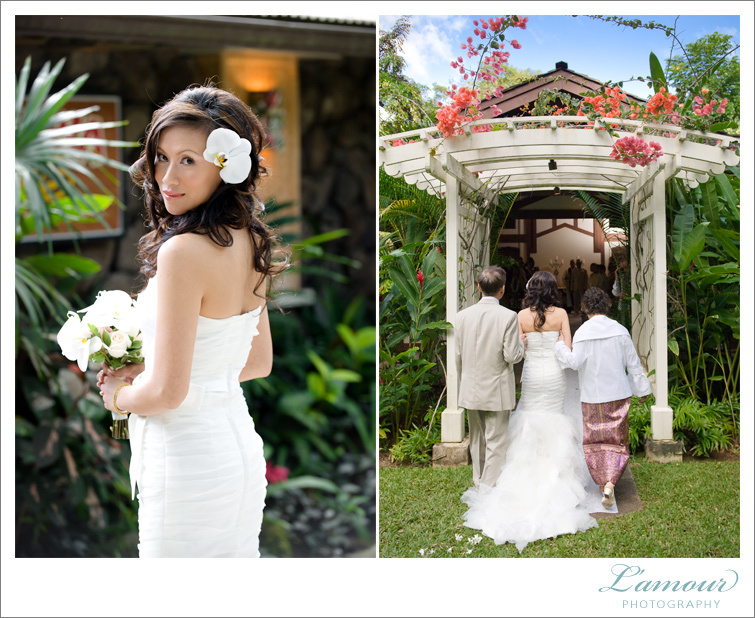 The bride and creator of this ring pillow wowed her guests with many other DIY designs for the tropical themed Hawaii wedding. 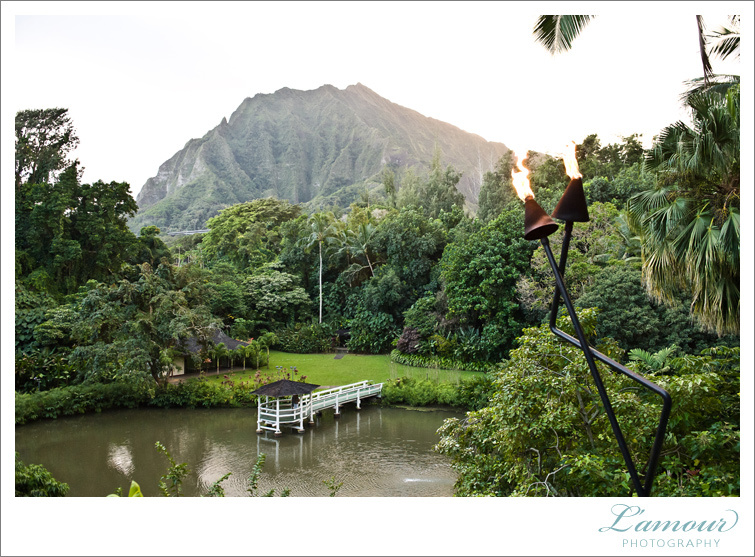 The wedding invitation for this Hawaii wedding at a private estate in Kaneohe was beautifully designed as a postcard with a vintage map of the Hawaiian Islands. 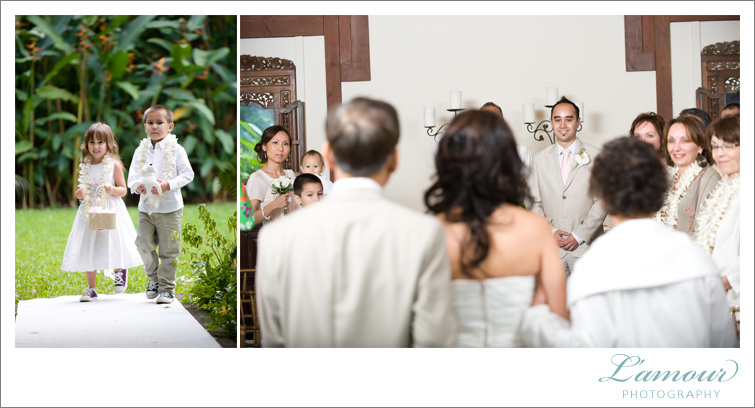 Use whole coconuts or whole pineapples to line your ceremony isle or walkways. Use whole lychees to add texture to your centerpieces. 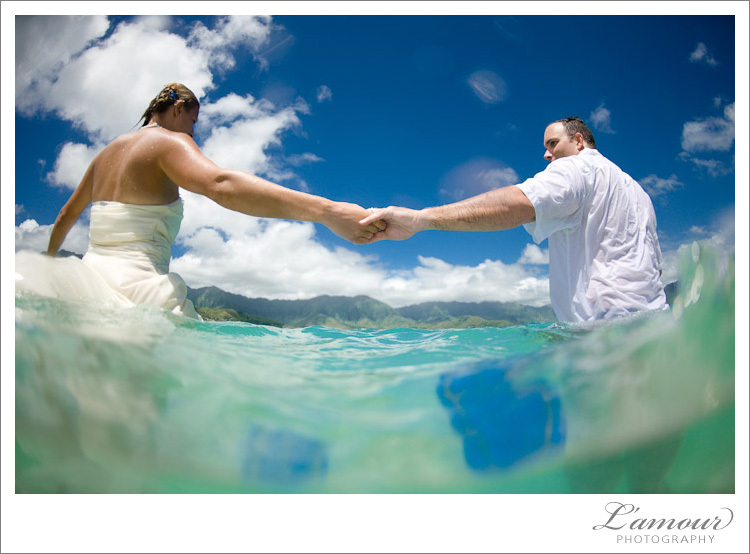 Hand out bright colored sunglasses or sandals for your guests as a fun and useful wedding favor. 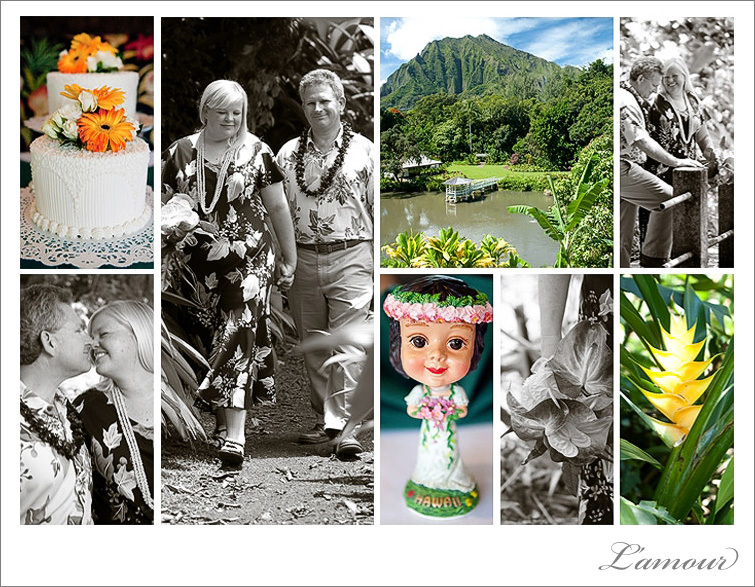 Use vintage style hawaiian postcards as place cards or table cards. 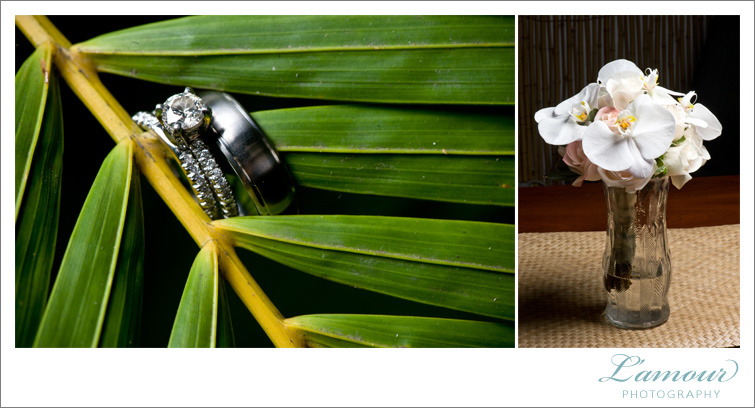 Use local tropical flowers to accent place settings. Set up a bubble blowing station for kids or even a shave ice stand! 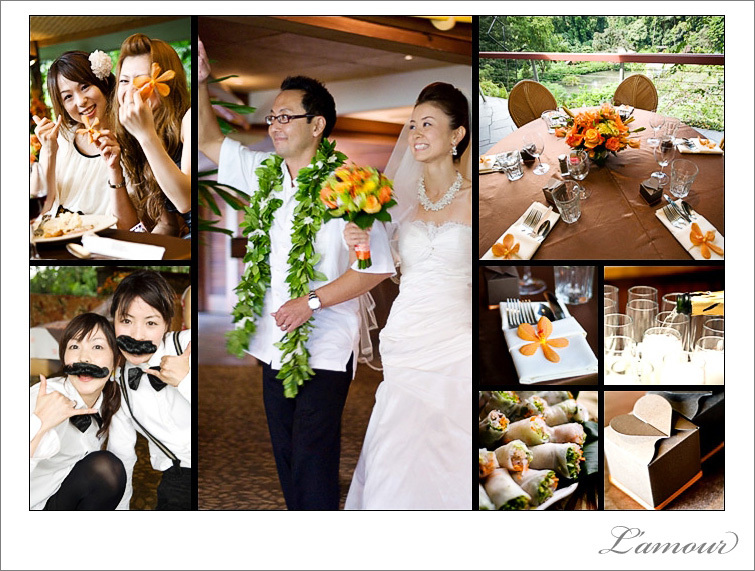 Would you like to share your ideas for Hawaii Wedding themes or decor. Feel free to leave a comment here! 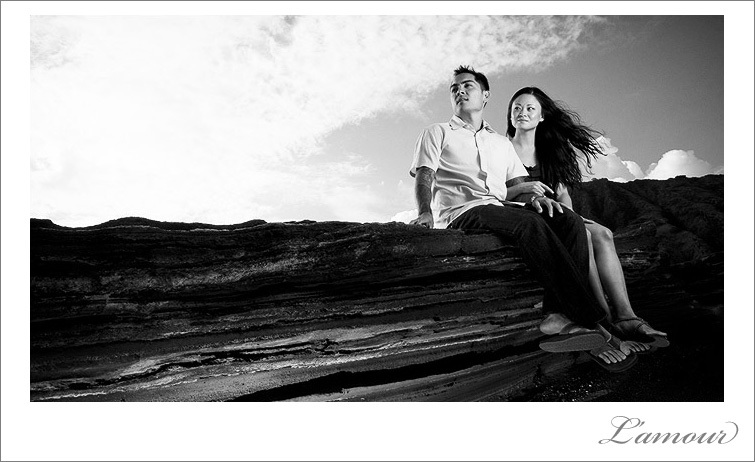 Michelle and Wayne came all the way from Sin City Las Vegas, Nevada for their wedding at Hilton Hawaiian Village’s Crystal Chapel. 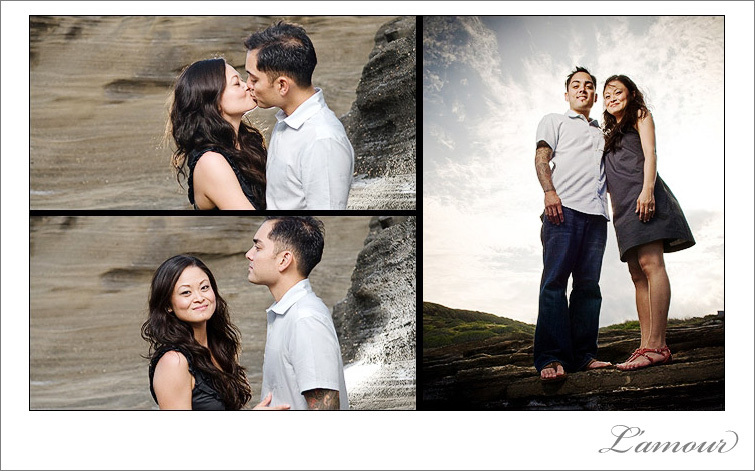 Unfortunately we weren’t available to shoot their wedding, but we did get the opportunity to shoot their “post-wedding portraits”/”engagment photos.” Michelle and Wayne were so great to work with. 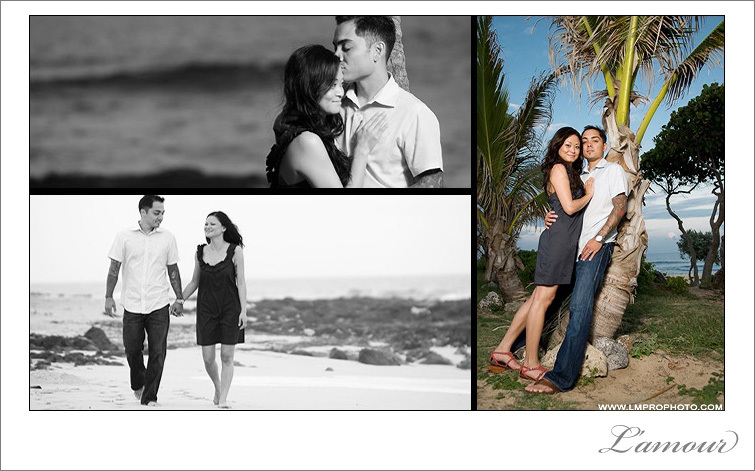 We hiked around the Blowhole Lookout and Sandy Beach and got some really awesome shots. 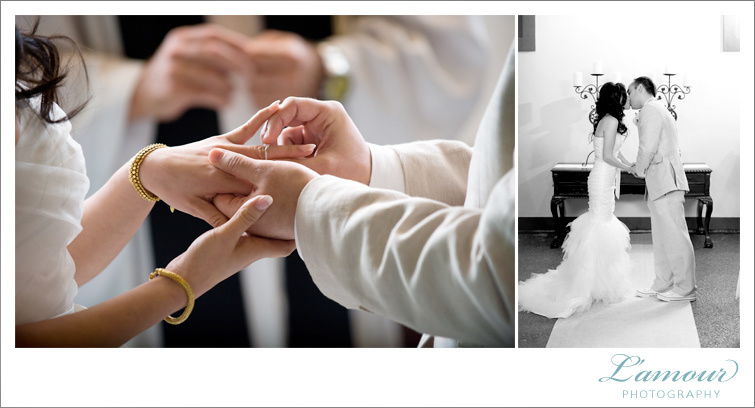 This may be one of our favorite ring photos we have ever done. 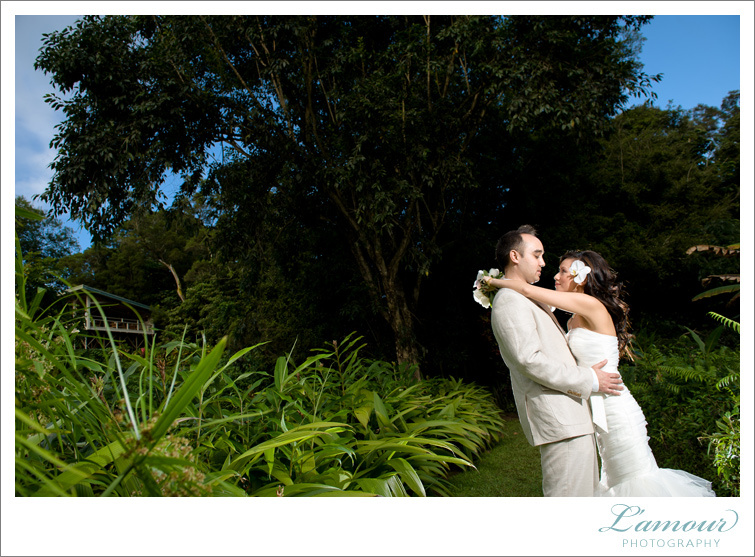 We wish you of happy years together! 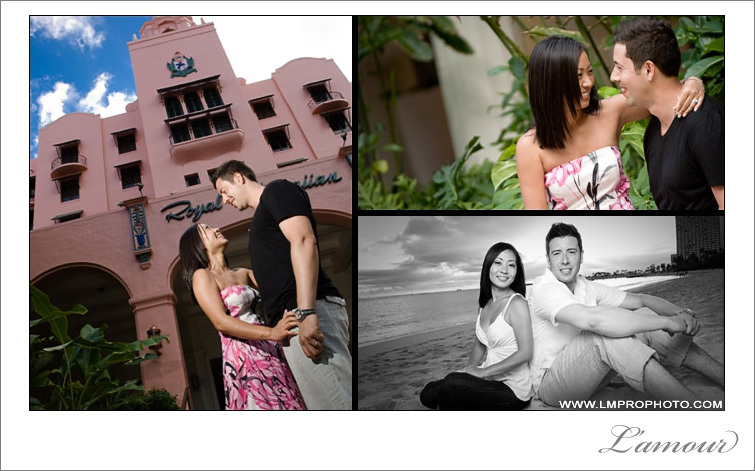 Best wishes from Eric and Wendy at L’amour Photography. 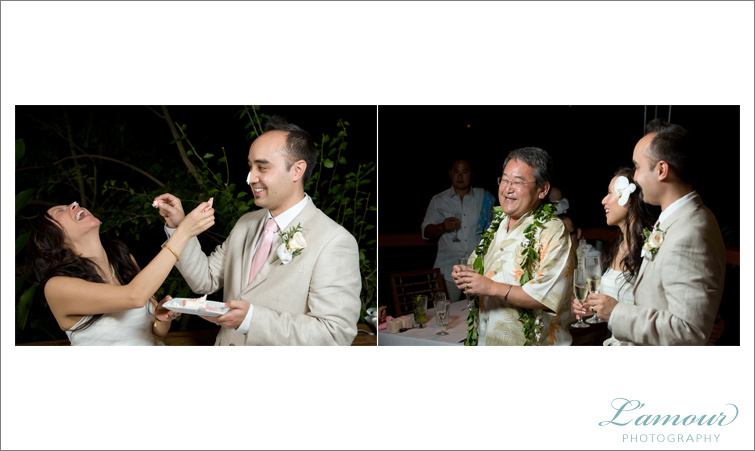 We’ve been to some really fun receptions, but Kaori and David’s family and friends are in a league of their own! Kaori’s close friends even choreographed a dance routine involving fake mustaches, suspenders, balloon animal making, and spinning buckets of water! 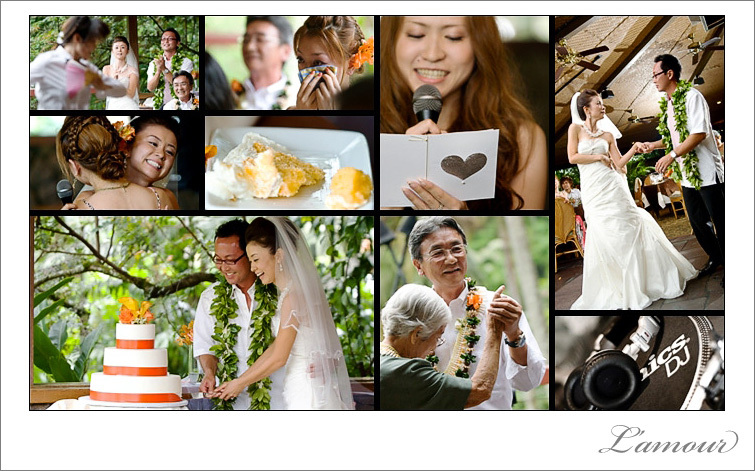 If that isn’t an equation for a lively reception and awesome pictures, I don’t know what is. 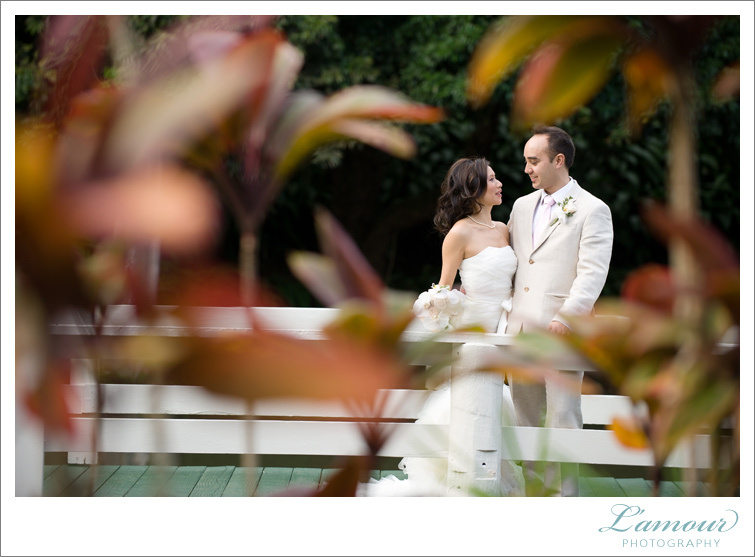 This amazing wedding was held at Haiku Gardens in Kaneohe on the windward side of Oahu. 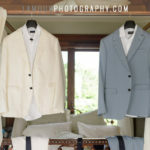 Haiku Event Coordinator Tina Scotty made sure every detail was perfect. 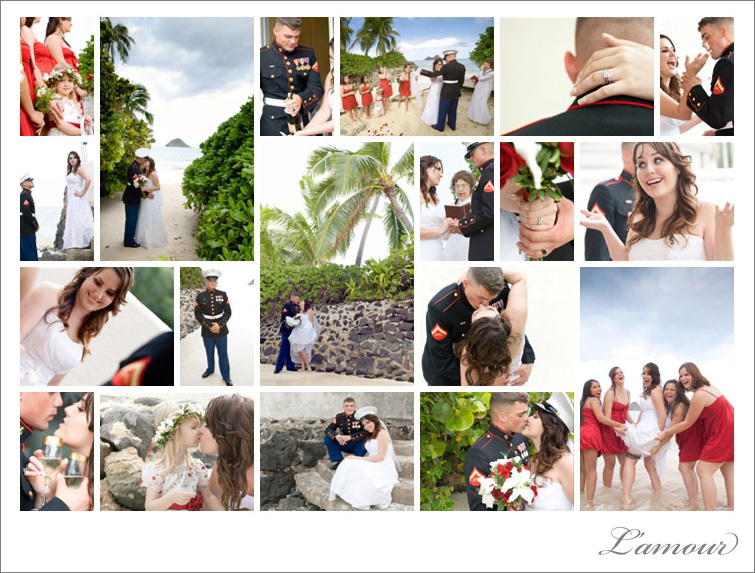 Merryl of Island Treats Creations designed and set up the beautiful decorations and favors. 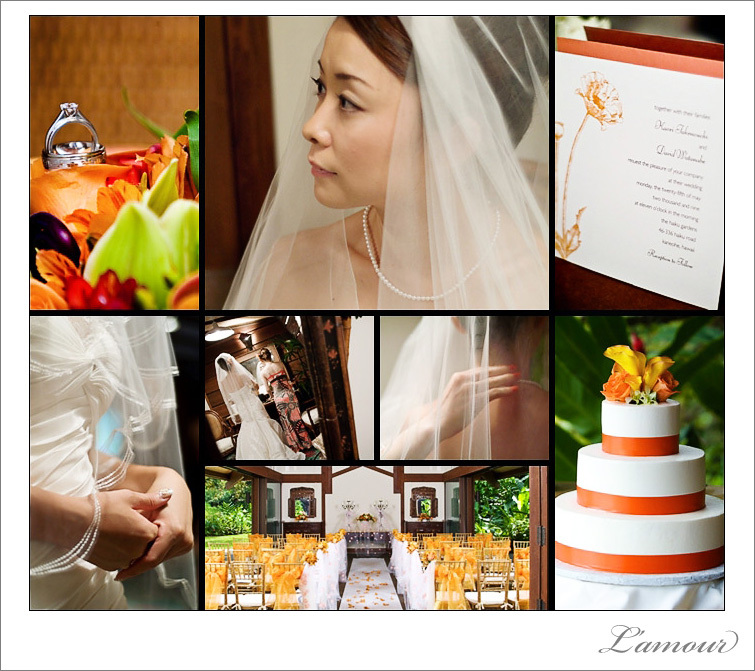 The wedding favors were petite jars of Hawaiian honey packaged in brown paper boxes with a heart closure and orange ribbon trim. 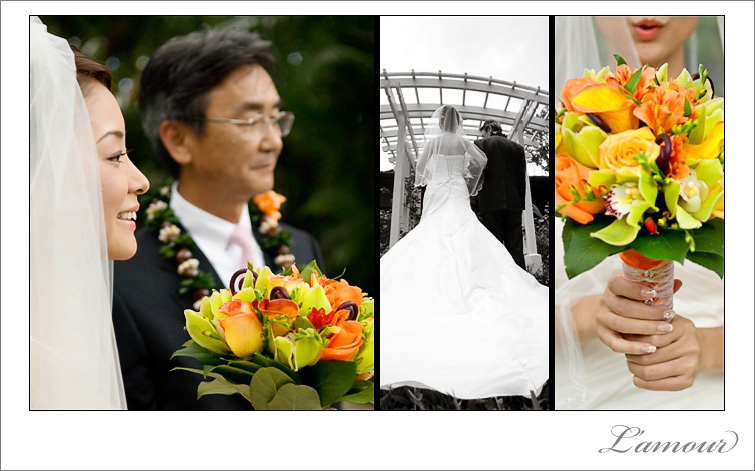 Kaori’s bouqet was made up of various tropical hawaiian flowers with vibrant orange, yellow, green and purples. 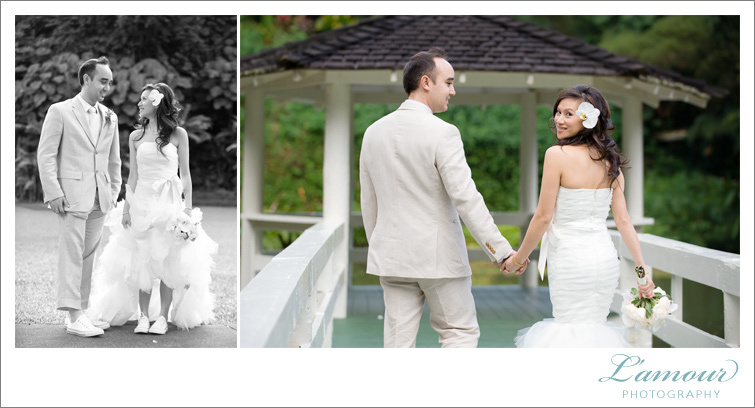 Kaori wore a simply gorgeous ivory wedding gown with a strapless sweetheart neckline. 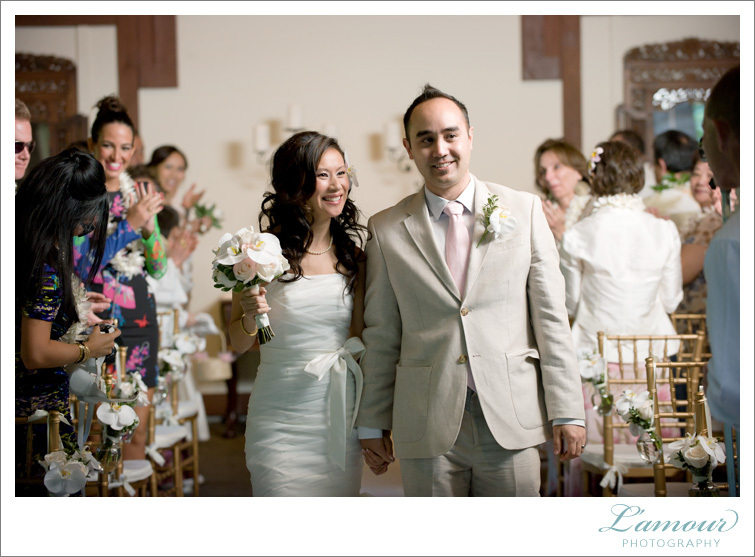 Kaori’s viel was the perfect compliment to her stunning dress with scalloped edges thinly lines with ribbon. 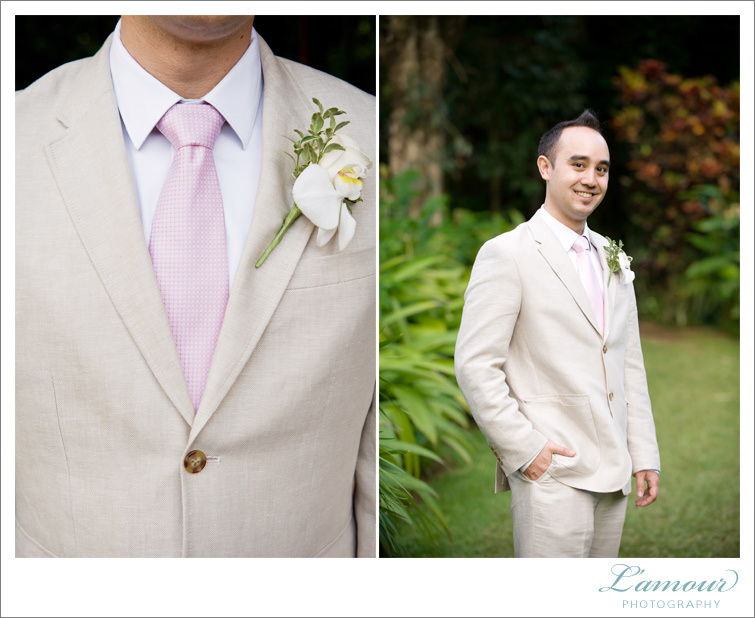 David wore a simple but sharp looking short sleeve ivory aloha shirt with a light pink tie. 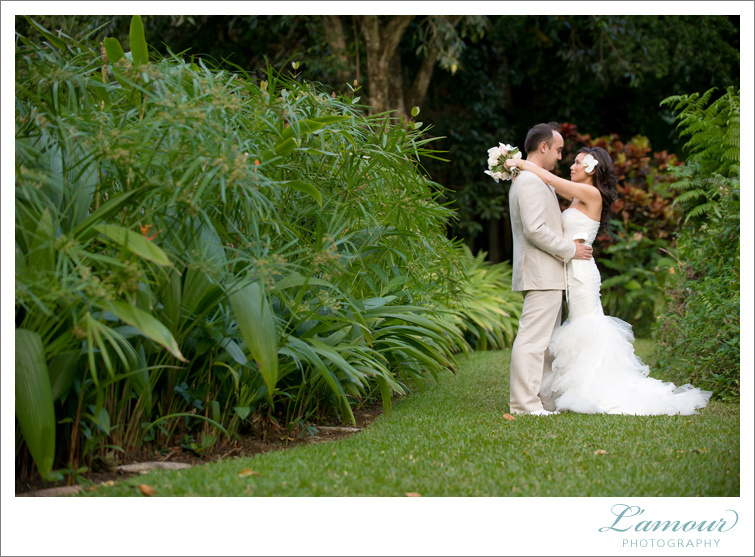 Congratulations to newlyweds Janeen and Wesley who were married in a beautiful ceremony at Haiku Gardens in Kaneohe on Oahu.